Food For Change is a Melbourne based charity dedicated to growing fresh fruit, vegetables and herbs; rescuing food used commercially to ensure it’s not wasted; and supporting food relief agencies. 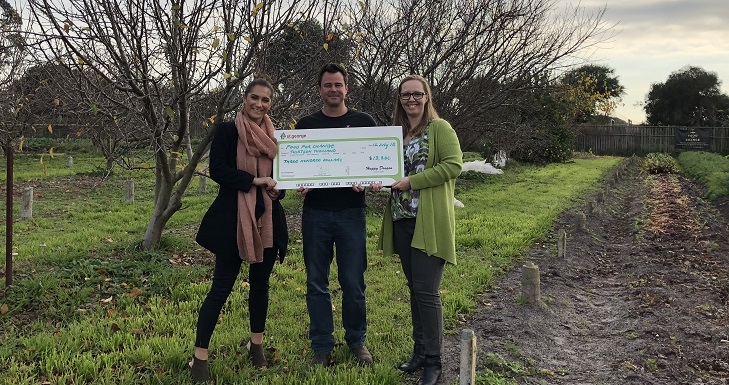 Lyone Foundation committee representatives from COS Melbourne, were blown away by the positive impact this charity is having, donating $13,300 to support their ongoing work. $10k will fund the project for a year and produce around 40,000 meals. Founder Matthew Donovan was compelled to start Food for Change after learning the following confronting facts.